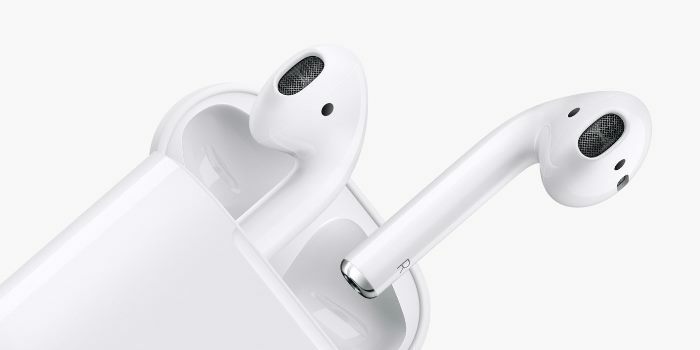 Apple may launch the second-generation AirPods in the first half of 2019, as suggested by various media reports over time. There are bits and pieces of information about the AirPods 2 with the latest one coming from XDA TV host and writer Max Weinbach, who says that AirPods 2 will have wireless charging and it will take just 15 minutes to reach full charge from zero. It is worth mentioning that the current AirPods take almost three hours to get to the full charge point. For faster wireless charging in AirPods 2, the case would require more Qi coils that would probably make it bigger. According to Weinbach, AirPods 2 case will be bigger in one direction and heavier than before. Weinbach also mentions a different coating for AirPods 2 that would be similar to the matte finish of the Apple Pencil. But Weinbach hasn’t always been the most accurate source of Apple leaks, so this information should be taken with a pinch of salt. This update was gotten from XDA TV.